Gizmo Bolt - Exposing Technology | Social Media and Web. GizmoBolt.com is the revamped version of XperiaGuide.com ( which was shut down by the founders ). We, at GizmoBolt cover everything related to technology, social media and web. Our’s main focus is on the mobile industry whereas GizmoBolt is one of the best places if you are looking for development related issues for your Sony Xperia Smartphone. He is 24 years old, an avid writer, an Engineer by College Degree, a passionate blogger, SEO consultant, Internet Marketer, Impatient optimist! Founder & Editor-in-chief of Gizmo Bolt ( formerly Xperia Guide ). 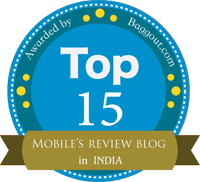 Founder of Android Gyan, currently contributes as an Author. Follow him at Facebook | Twitter | Google Plus. 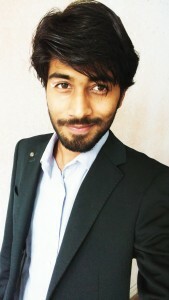 Co-Founder and Editor at Gizmo Bolt and founded Android Gyan back in July 2011. He is currently pursuing his B.Tech from IIT Roorkee. He loves photography and travelling. He is always open for discussions and communication regarding start-ups, marketing, branding, and gadgets. GizmoBolt.com is not affiliated with any of the device manufacturers listed on this site. All trademarks are the identity of the respective firm. Use of that trademark is subject to their permission. If you are keen to know more about Gizmo Bolt, you can reach us via our Contact form. Follow us at Facebook I Twitter I Google Plus I Pinterest | RSS Feeds.